Order Healthy Nuts For Us! Our first Cockatude video project is to tell the story of our permanent sanctuary birds. 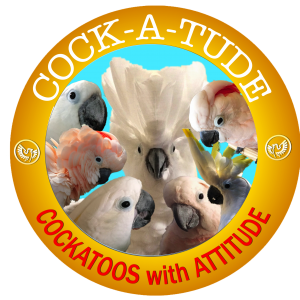 Each has a unique perspective on life and personal challenges that make them both interesting and inspirational to those who wish to care for cockatoos. Please consider donating a dollar or more per-episode by becoming a Patron TODAY. ​Just donate at least $2 a month or $24 a year! 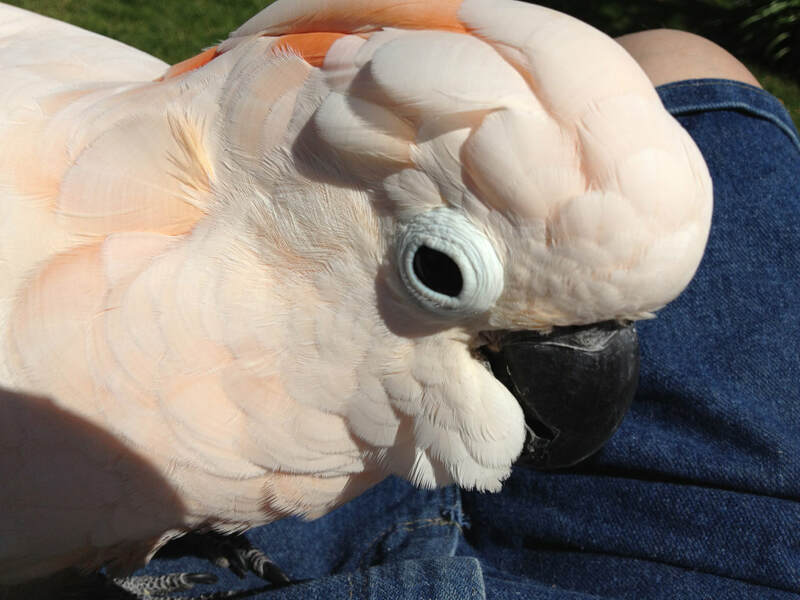 ​Support our efforts to help parrots and cockatoos! The quality of life assessment form can be found here. We urge you download all the free articles from the www.avianwelfare.org. I You may download the form only: quality of life. EPISODE 1: PEACHES. A handicapped girl finds understanding in her new home. 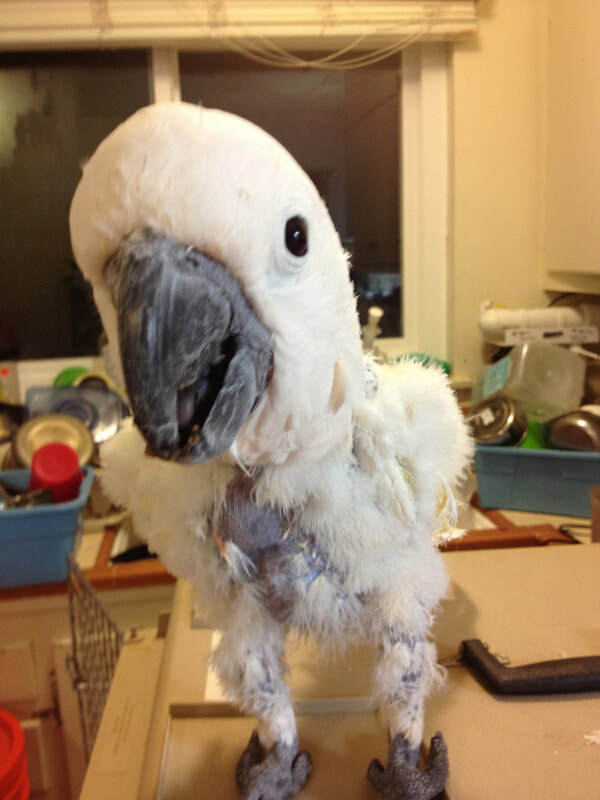 Peaches is a moluccan cockatoo who has 6 fused vertebrae in her neck. We had to discover her problem, have her treated for conditions that threatened her life, and much more. So much to learn from this amazing beauty! EPISODE 2: BABALU. A Boy No One Wanted. Re-homed 8 times in the first 11 years of his life, Bab learned not to trust anyone. Called “aggressive” by most (except a select few who understood) and seemed to live up to his reputation. 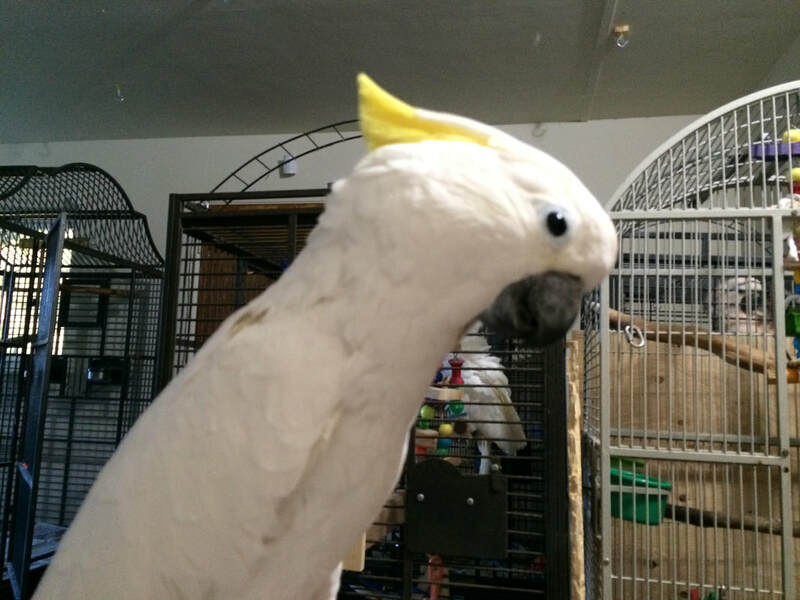 For those who have birds that challenge them with their beaks, Bab’s story can be enlightening! He is a trusted member of our rag-tag flock now. EPISODE 3; SUGAR. A Mutilator’s Story. Sugar came to us like a whirlwind. She was a mess when we got her and it didn’t get better for over 2 years. Now she is feathered, feisty, and full of herself. See one bird’s transition from frustrated to feathered. Our groundbreaking video on a proven protocol to stop feather destructive behavior in 9 out of 10 birds. Jeffrey R. Jenkins, DVM, tells the method he has used with success for over a decade! Our Cockatude playlist. Use the upper right corner to see or play them all.